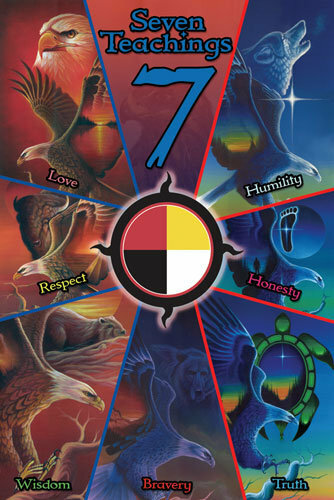 Among the Anishinaabe people, the Teachings of the Seven Grandfathers, also known simply as either the Seven Teachings or Seven Grandfathers, is a set of teachings on human conduct towards others. To cherish knowledge is to know Wisdom. Wisdom is given by the Creator to be used for the good of the people. In the Anishinaabe language, this word expresses not only "wisdom," but also means "prudence," or "intelligence." In some communities, Gikendaasowin is used; in addition to "wisdom," this word can also mean "intelligence" or "knowledge." To know Love is to know peace. Love must be unconditional. When people are weak they need love the most. In the Anishinaabe language, this word with the reciprocal theme /idi/ indicates that this form of love is mutual. In some communities, Gizhaawenidiwin is used, which in most context means "jealousy" but in this context is translated as either "love" or "zeal". Again, the reciprocal theme indicates that this form of love is mutual. To honor all creation is to have Respect. All of creation should be treated with respect. You must give respect if you wish to be respected. Some communities instead use Ozhibwaadenindiwin or Manazoonidiwin. Bravery is to face the foe with integrity. In the Anishinaabe language, this word literally means "state of having a fearless heart." To do what is right even when the consequences are unpleasant. Some communities instead use either Zoongadikiwin ("state of having a strong casing") or Zoongide'ewin ("state of having a strong heart"). Honesty in facing a situation is to be brave. Always be honest in word and action. Be honest first with yourself, and you will more easily be able to be honest with others. In the Anishinaabe language, this word can also mean "righteousness." Humility is to know yourself as a sacred part of Creation. In the Anishinaabe language, this word can also mean "compassion." You are equal to others, but you are not better. Some communities instead express this with Bekaadiziwin, which in addition to "humility" can also be translated as "calmness," "meekness," "gentility" or "patience." Truth is to know all of these things. Speak the truth. Do not deceive yourself or others. 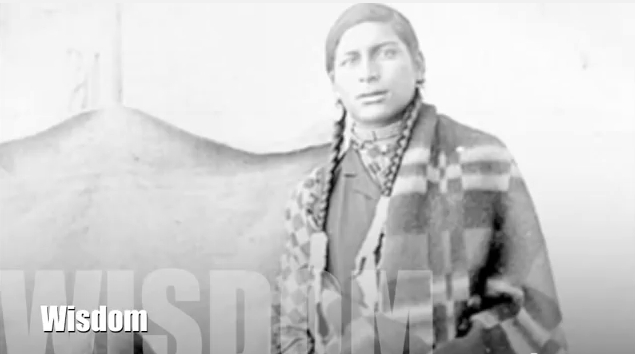 Responses to "Teachings of the Seven Grandfathers (Video)"
My Elder Chief William Commanda who was the keeper of 4 wampum belts especially the 7 Fires Prophecy used to also say that "Forgiveness" of oneself and others was the first step to healing. I think all people have traditional teachings, but most people ignore them. It is important not to forget who you are and where you come from. Below you find the virtues of Chivalry (Germany/France) and Bushido (Japan). I think most of them match your Sacred Principles, but the greatest difference is the unimportance of Love, both in Chivalry and Bushido. I love to read about anything about Indians . my husband grandparent was half Indian. we love teaching our kids about it to . our son is going to college to look for Indian artifacts and learn more about them .